BBT nv // Blog » For sale! 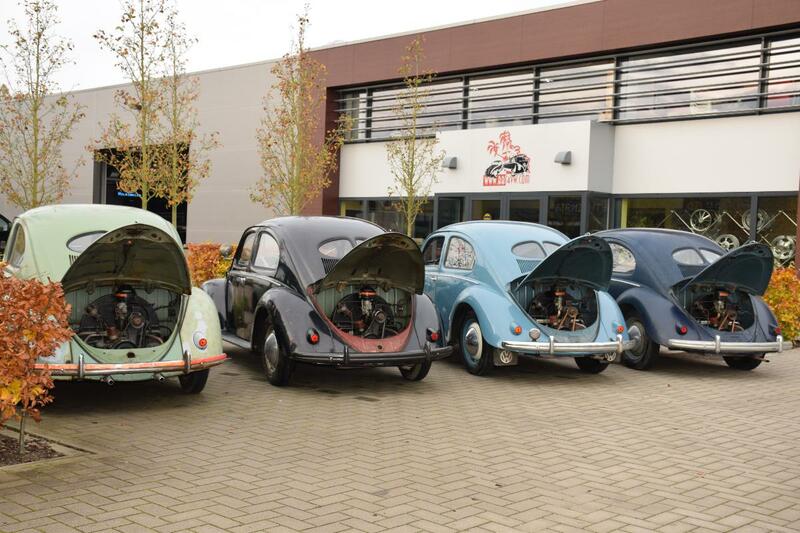 Four Split window beetles! Fresh arrived from very far “Up North”! For sale! 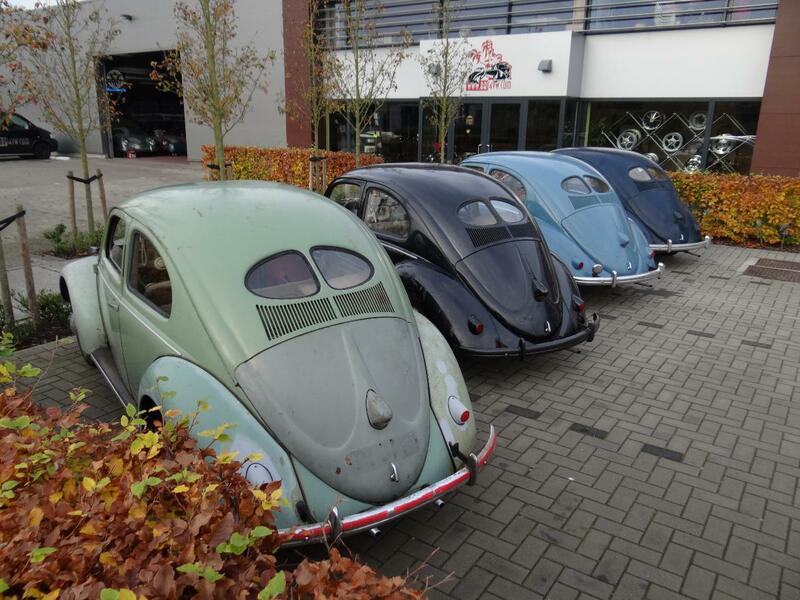 Four Split window beetles! Fresh arrived from very far “Up North”! 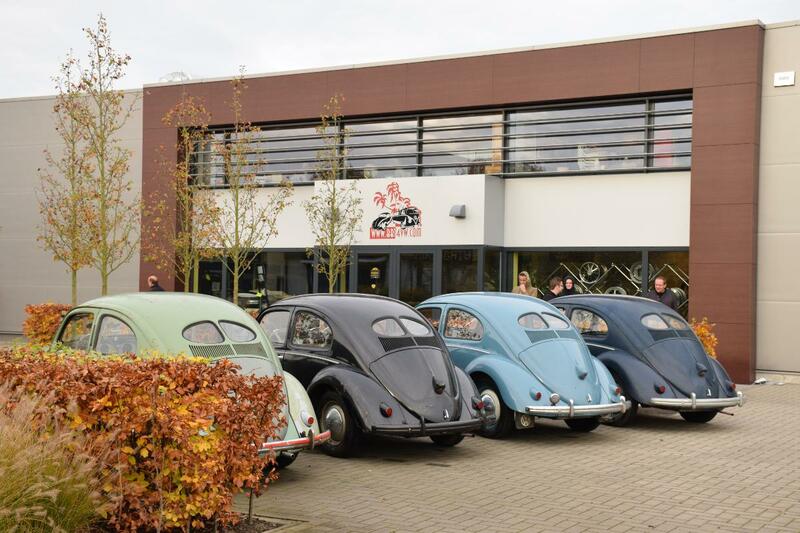 BBT is Split window beetle walhalla! 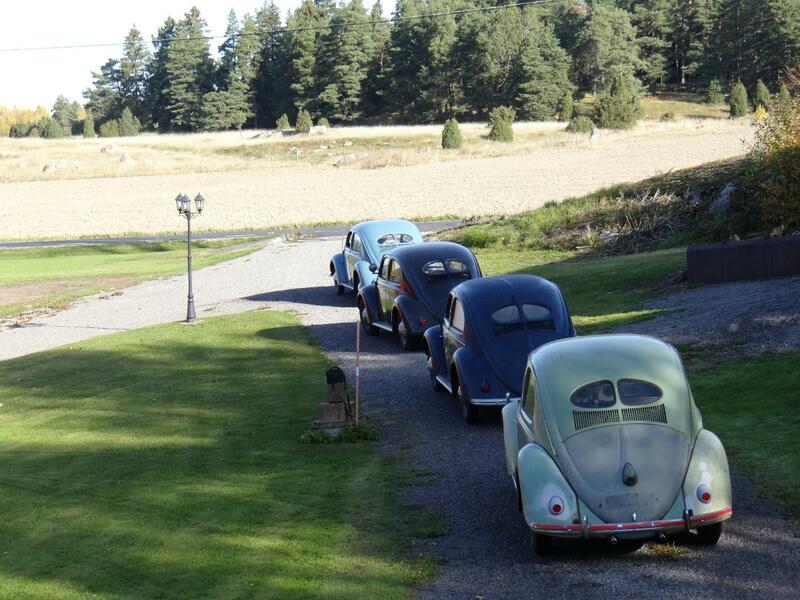 When we could strike this deal to buy these 4 split window beetles at once we hardly blinked an eye! 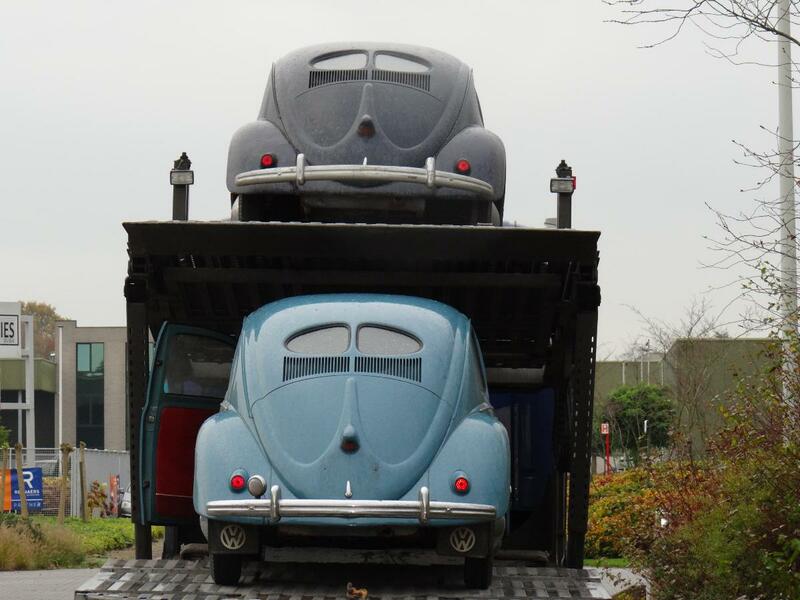 We took our time, made sure seller was happy and felt the joy growing right in our stomach… these baby’s would come home… what started in April this year is ready now… enjoy our story! 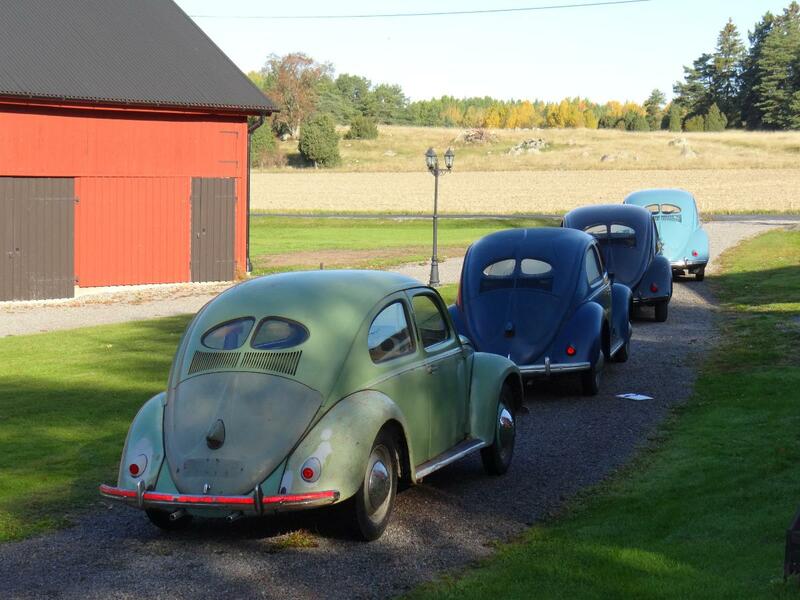 Ever dreamed of a split window line up? 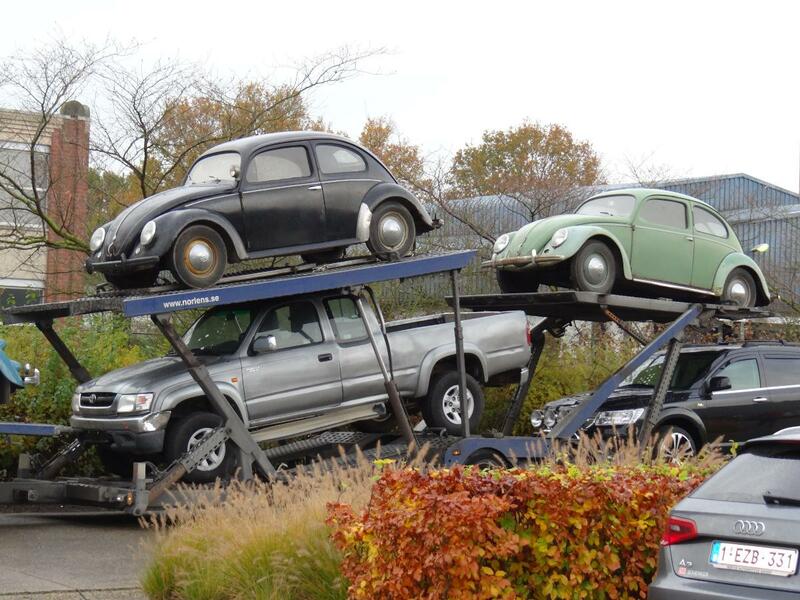 All are complete and driving condition cars!! ok, let’s start loading! All cozy on one truck! Travelling together is so much more fun! Don’t You think? Unloading the truck was a blast! 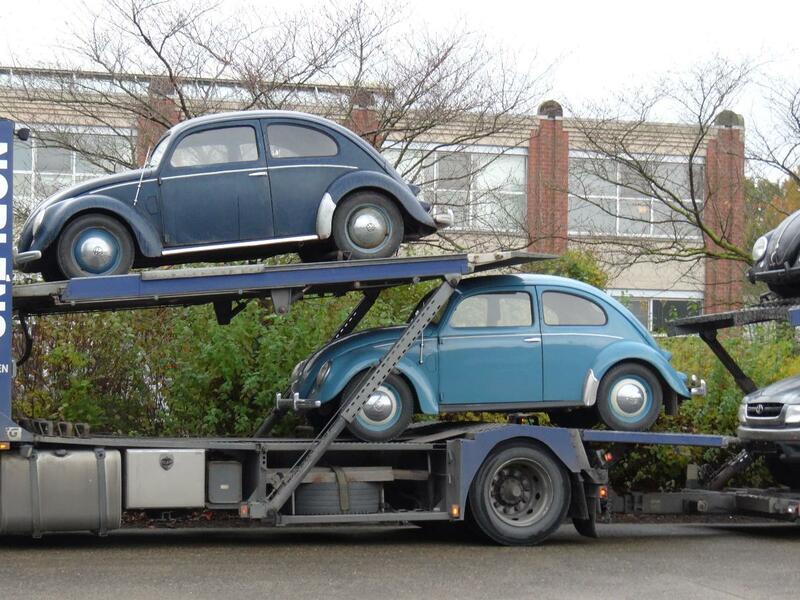 You ever saw them “doublestacked” before? Only @ BBT! 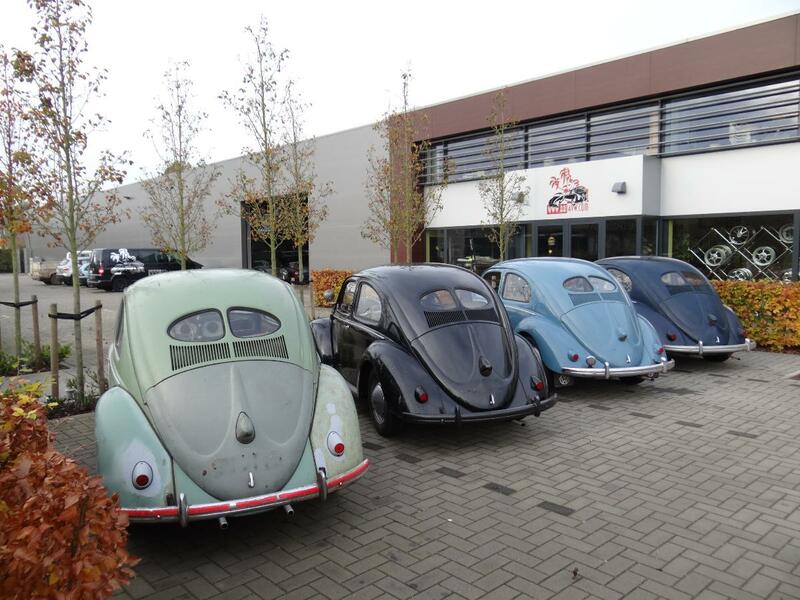 All parked nicely before BBT building… ready for first inspection! I just love the different angles… this picture shows You the simple design… forget Art Deco, Art nouveau and all that other glamour stuff, here functionality before everything… can we call this style with a certain influence from the Bauhaus movement? Not THIS picture!!!! What You think you’re doing there????? Let’s start that picture shoot, one by one now! Nothing better to enjoy our new toys intensely….. 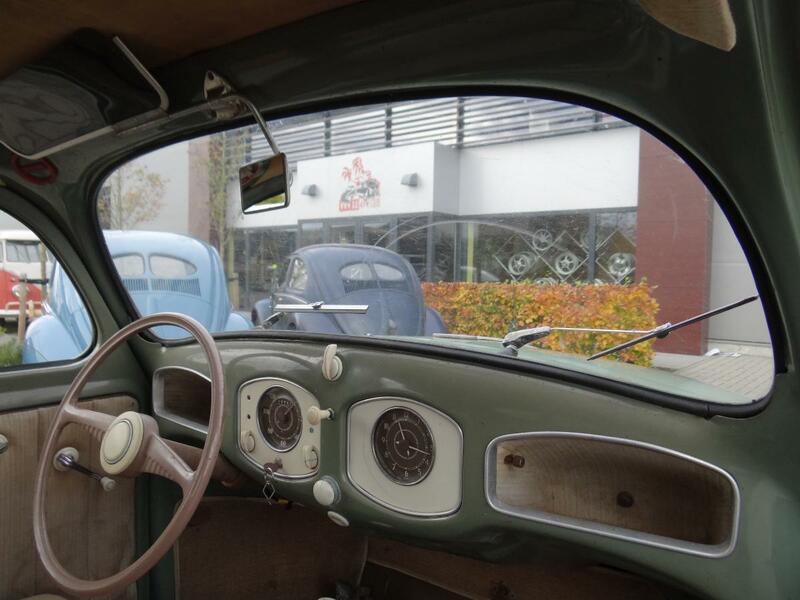 Inside the car sports an original interior, and a more than decent headliner… even your wife wouldn’t mind to take a drive along in this patina car! Sporting Ribbed bumpers and moldings, round wipers, full ft hood logo, OG fenders, taillight and headlight, 16′ wheels and the list goes on… this was a parts car actually since 1963!!! No we do not save the best for last, but present it to You as a second… Build in Aug 1951 if You’re into OG interiors this is the best split in the WORLD! money can buy…. 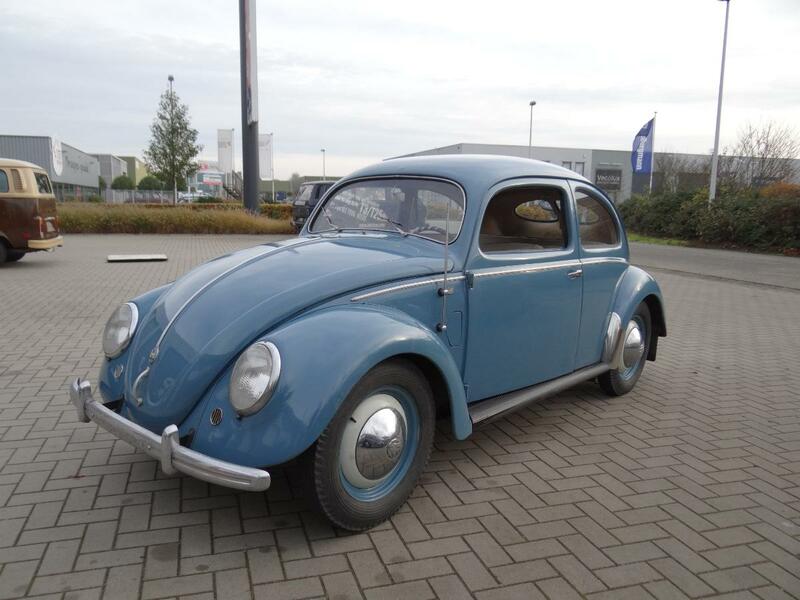 One repaint, this paint was applied in 1976 in the slightly wrong color of Golf-blue….paint is little too shiny maybe, but the entire car present well! Ribbed bumpers and moldings, round wipers, full ft hood logo, OG fenders, taillight and headlight, 16′ wheels and the list goes on. 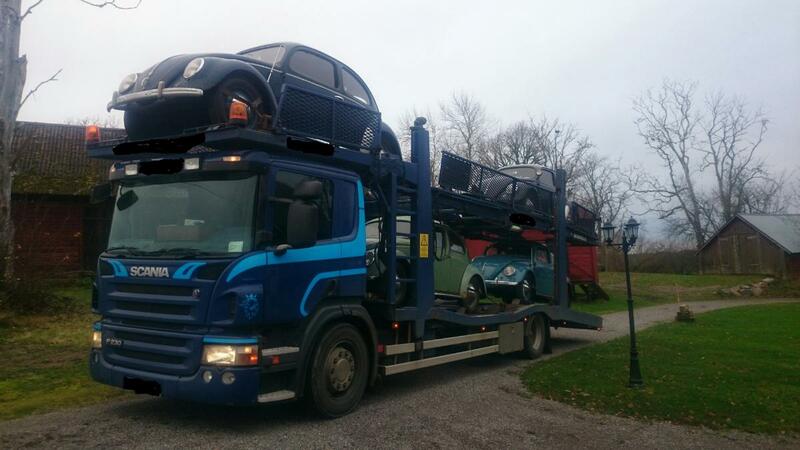 The originality in parts of this car is large to say at least. 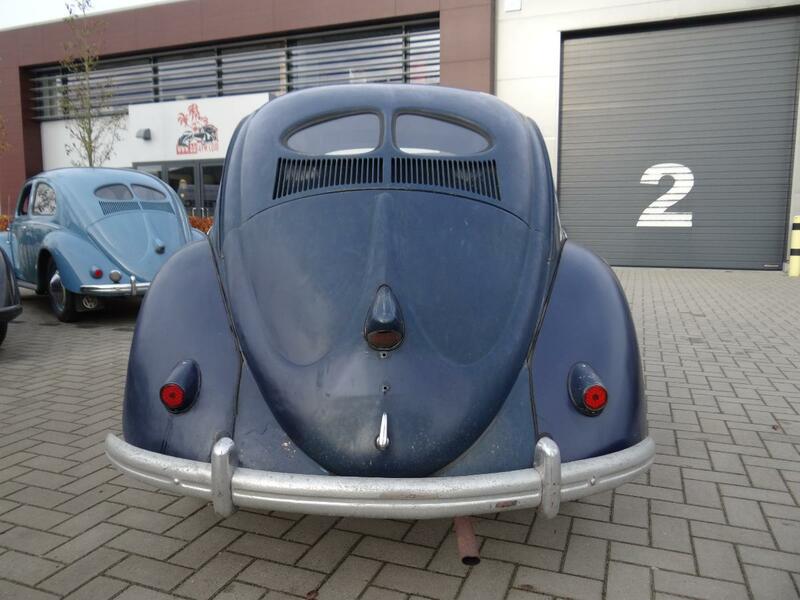 also sports a OG 25HP engine fed by a 26VFIS carb…. 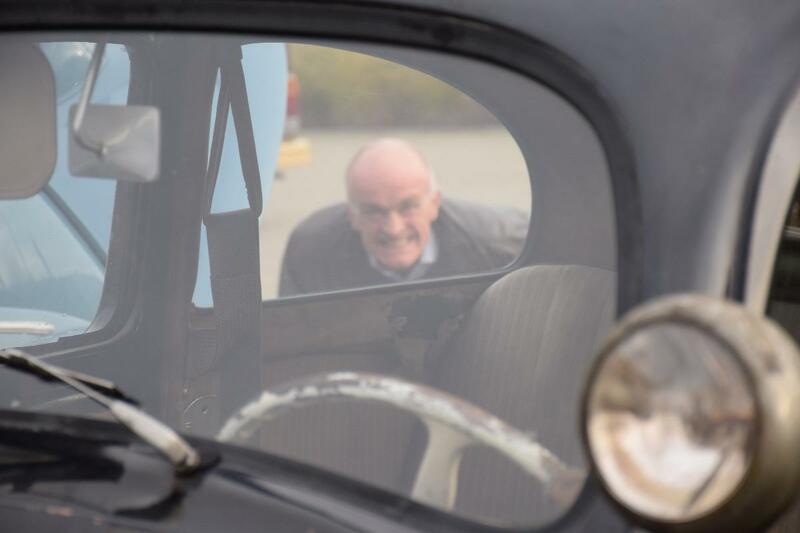 As said before, the quality of the OG interior is above all imagination, imagine…. almost 65 years of age! Is this my personal favorite? 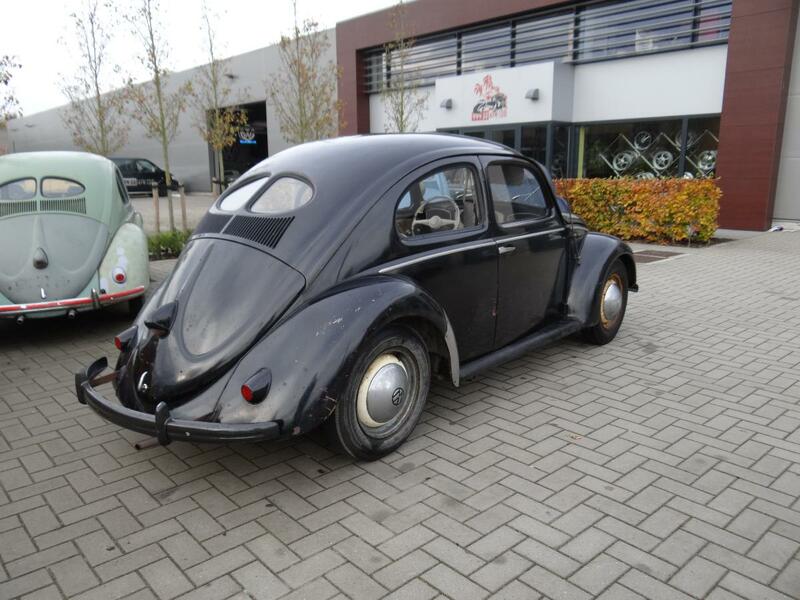 Black does suits a Split window beetle for sure very well… Black patina even better! Build in Jan.1951 this is a real survivor! 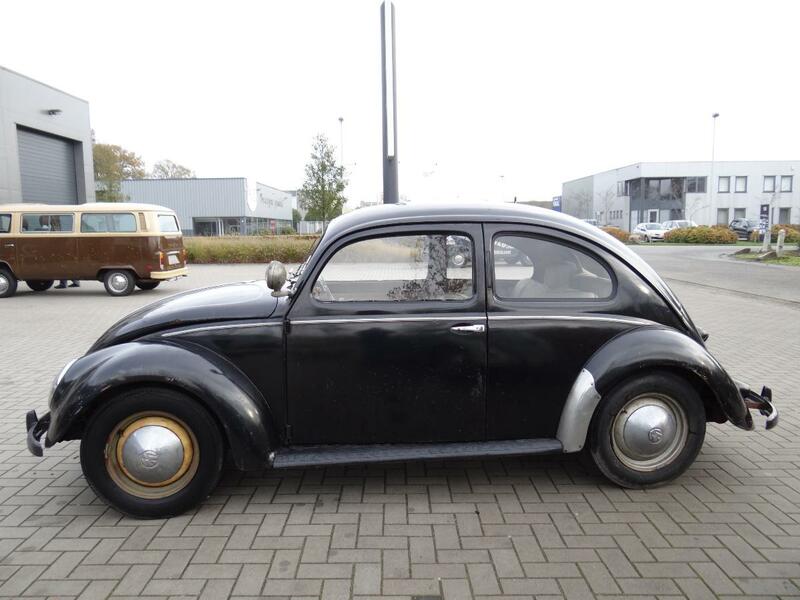 This is a very very old repaint, more than likely from the very early fifties… but very well done… I like especially the look of this car! 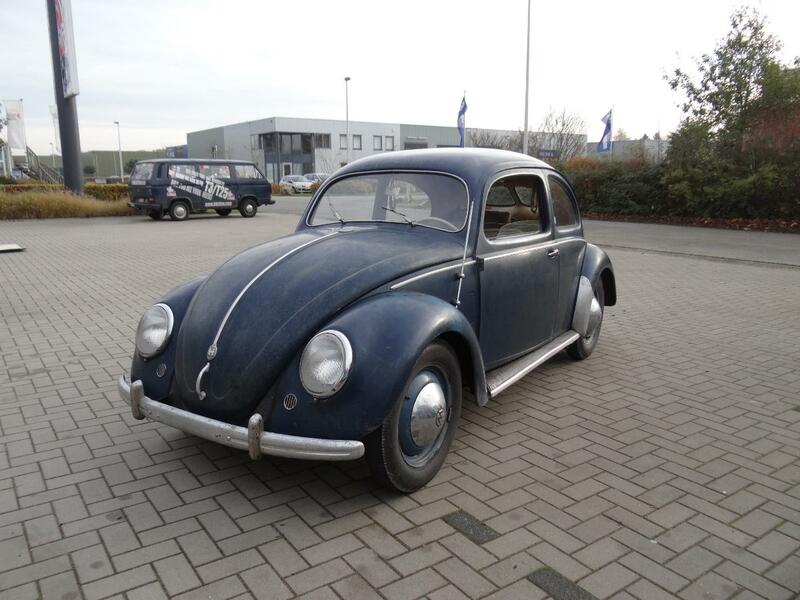 Nice and scruffy, but still presentable, the exact right dose we need for a nice patina car! 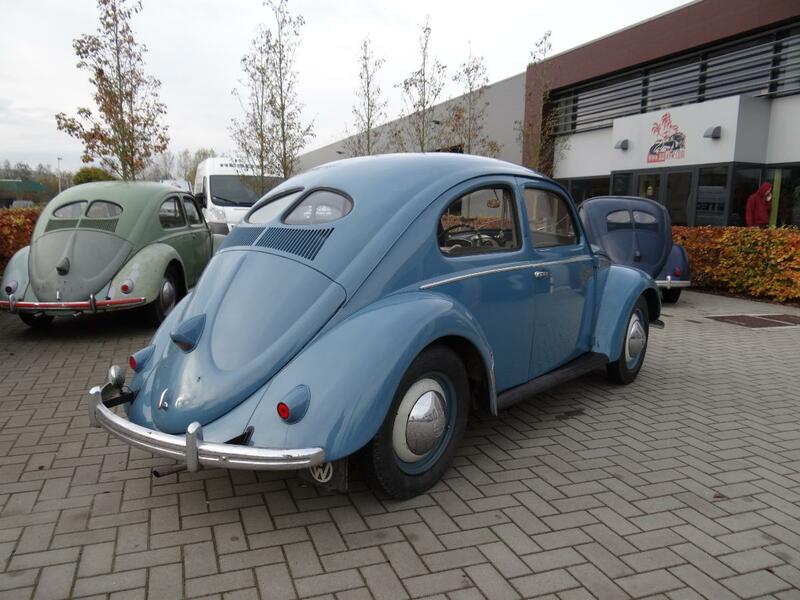 This baby is as complete as the two above but is sitting on 15 inch wheels, 16-inch wheels, however, are coming along inside the car…. now, how do you like this look? 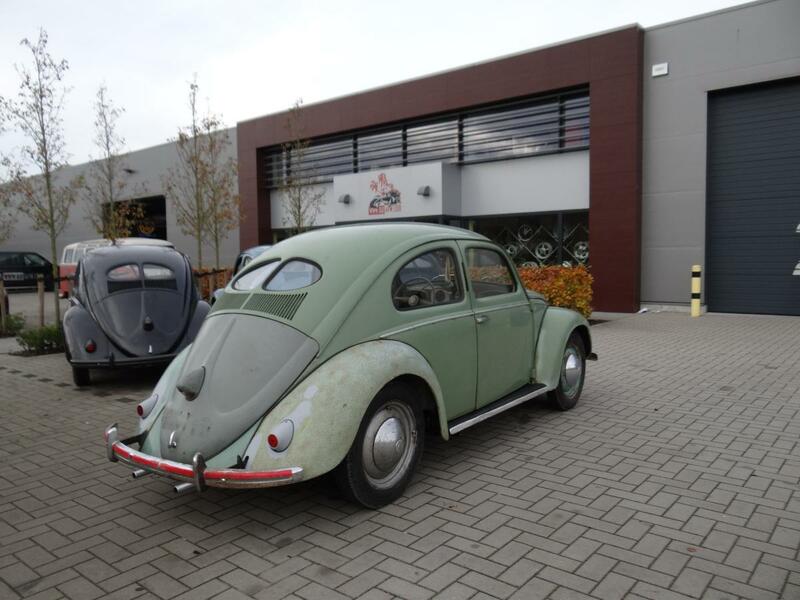 Last but not least… the oldest of the pack… Sept 1950 build this car will not retire at 65 years of age, that’s for sure! Did we catched your interested? Are You interested to see more? I’m an old fart in usa. How much for the leftovers? Do you have an idea how much shipping is to the us? Hi Bob. 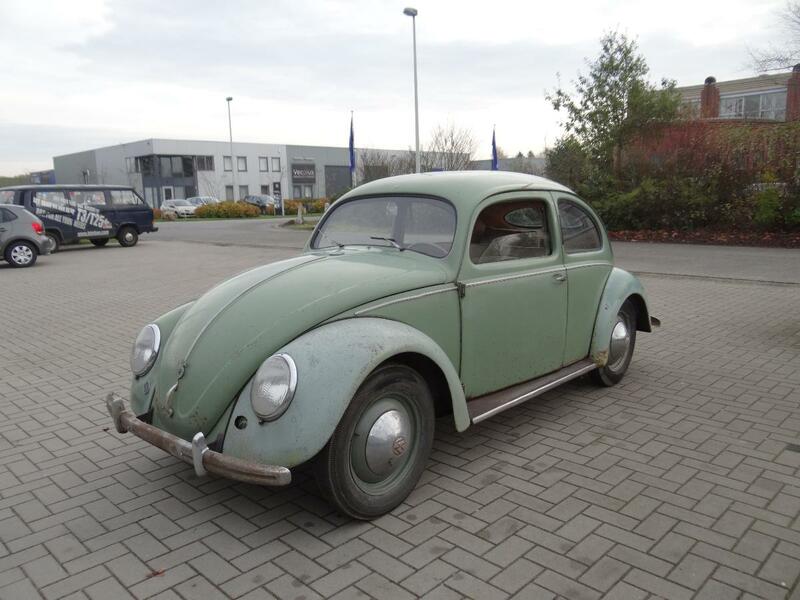 Do you have any photos of the green one – heater channels, etc? Is this the cheaper of the two remaining splits? I.’ll be expecting your response.Thanks and happy new year! 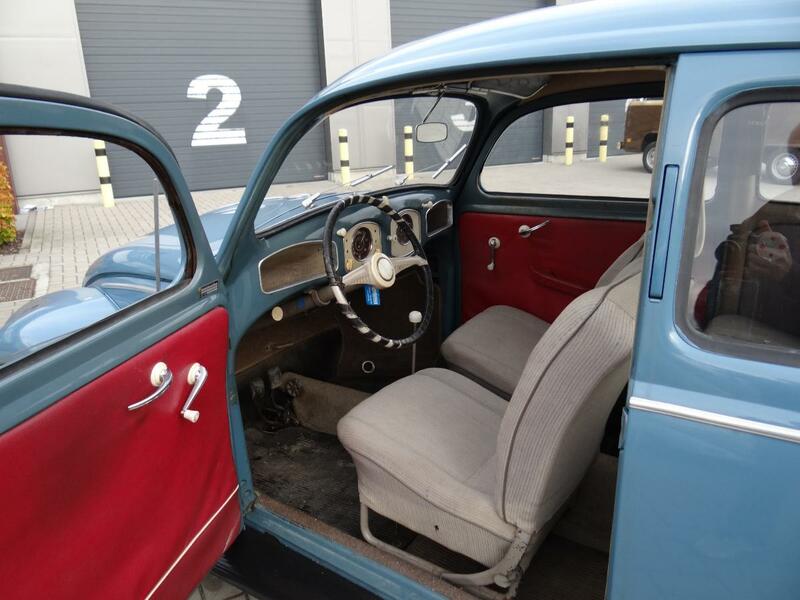 Hi mate, any chance a price on the barndoor double door panel? 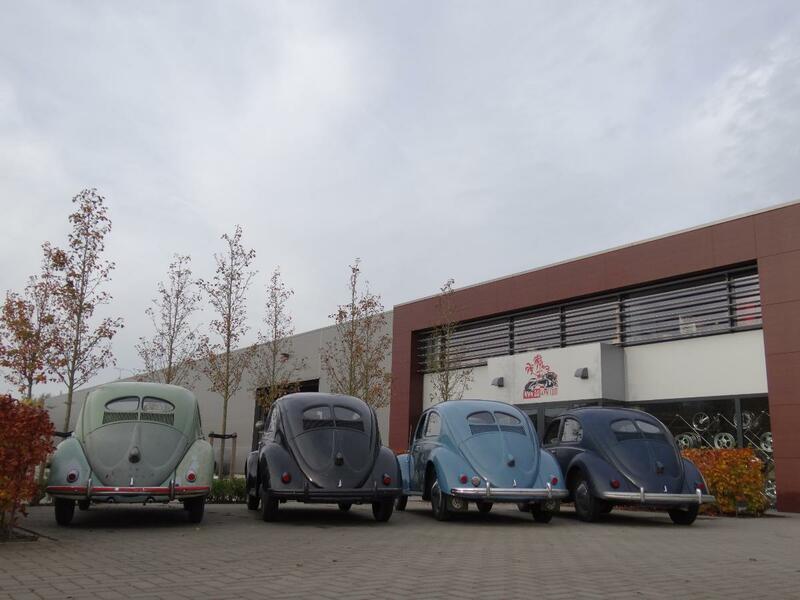 and what prices are the split beetles? zsolt in Australia. 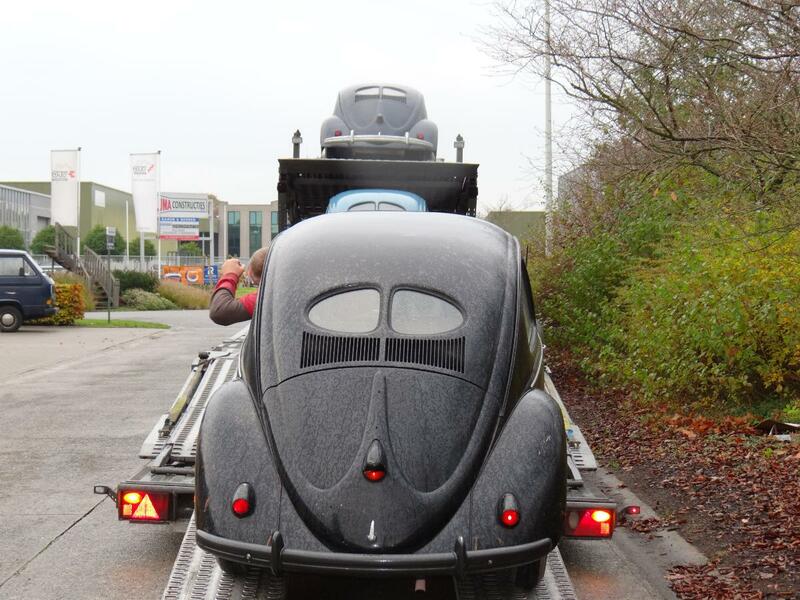 Need to know the price of the black one (VW beetle Split). Will you ship to Cyprus or greece for me ? 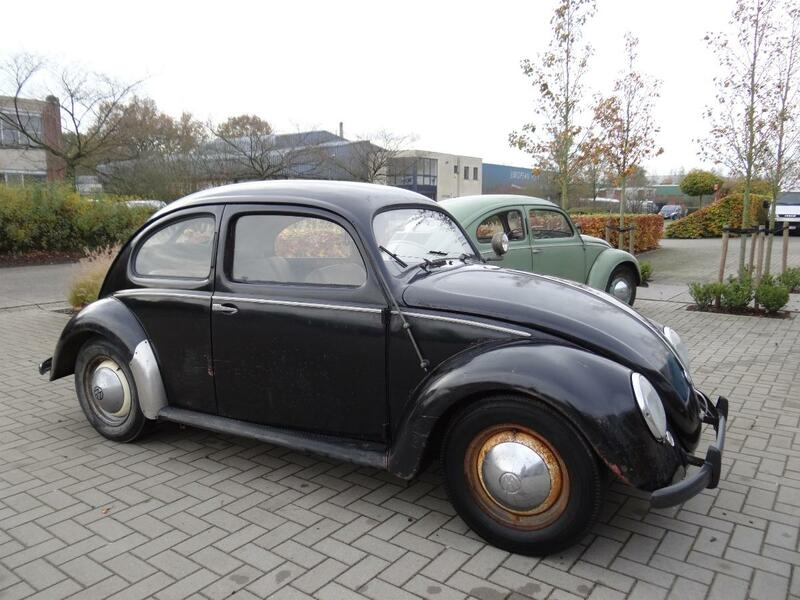 What is missing from this car? Pitty to have to split the collection. What is the price of it and the green one please? 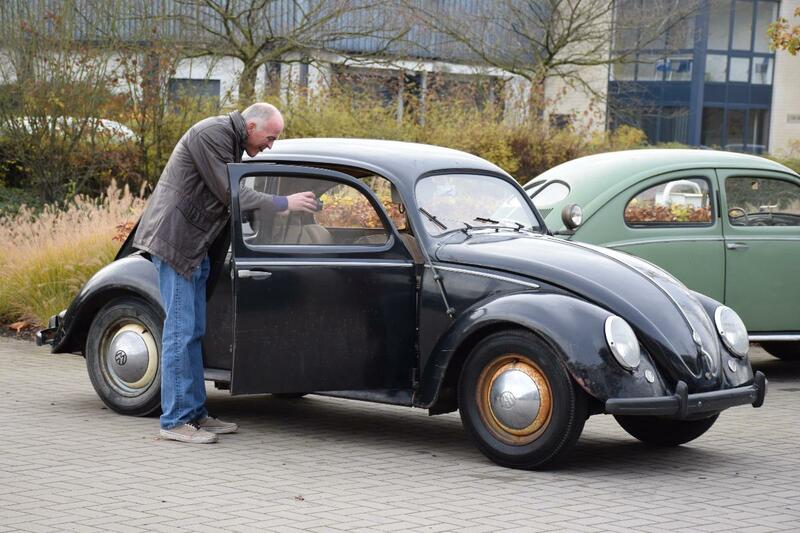 Can you please tell me the Price of your Split beetles? I’d like to get one of them and bring it to Mexico. 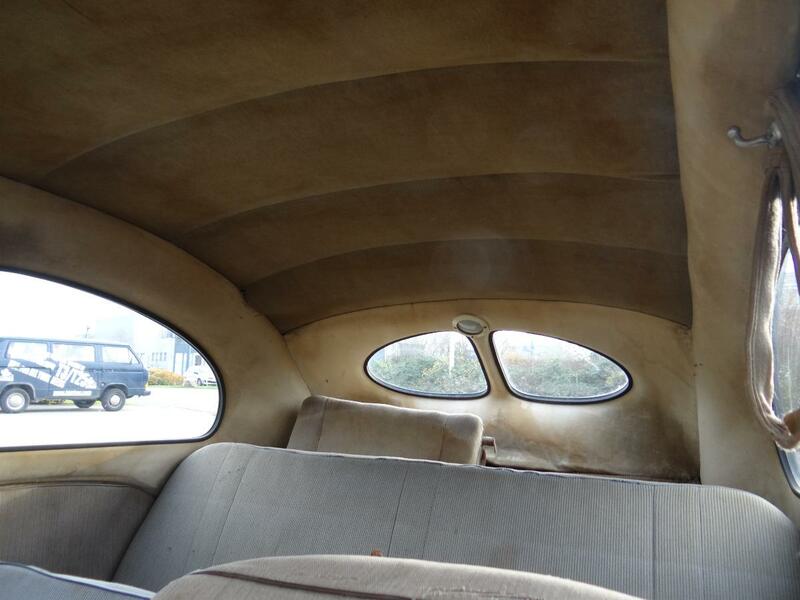 Hello, I’m in San Diego and would like to restore a split window. Do you still have one?